The National Supercomputing Centre (NSCC) is building the research platform for industries to make factories of the future a reality in Singapore. 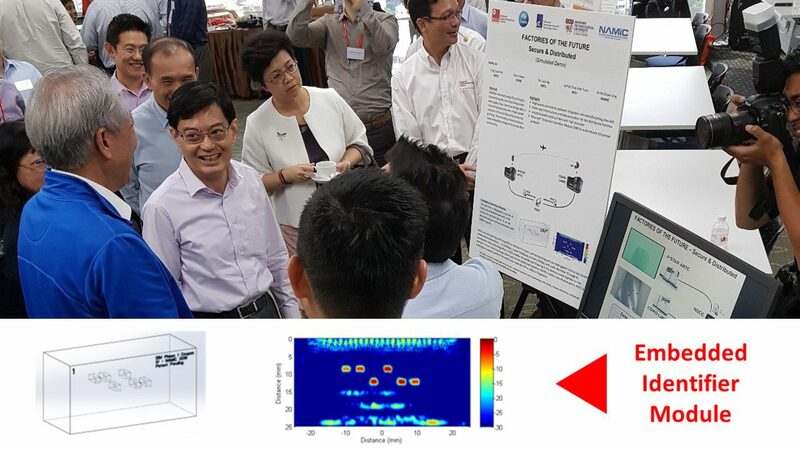 The Embedded Identifier Module is one of the highlights on SECURITY shared by NAMIC with the Deputy Prime Minister Teo Chee Hean during the showcase on 25 August 2017. Ho Chaw Sing, Managing Director of NAMIC, highlighted the “security” technology through the EIM and NTU’s R&D efforts in this space. He explained to the guests how to verify the authenticity of the remotely printed item. Collaboration Partners: Australia’s CSIRO, A*STAR ARTC & NAMIC@NTU. Coordinated by: National Supercomputing Centre (NSCC).